You are here: Home / Blog / To or not to Integrate Digital Analytics into your Business ? 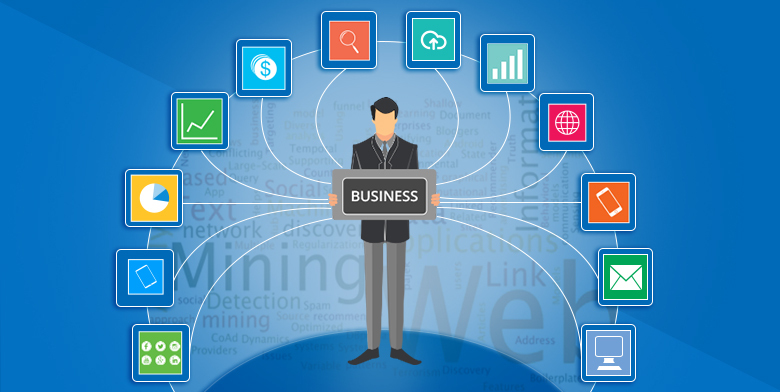 If integrating Digital Analytics with your business has been on your mind, then the following questions would have sure popped up. Why should I use Digital Analytics & how it impacts business? Why digital data and where does all the data come from? This blog will help you answer those. Why digital data & where does all the data come from? The current era of the internet and smart phone has made the world’s information and media available to nearly everyone at the click of a button and is connecting everyone around the world, 24 by 7. IBM estimates that humanity creates 2.4 quintillion bytes (quintillion is one billion billion) of data every day. The amount of data is so much that 90% of the data in the world today has been created in the last two years alone. Obviously, much of this new data is being created by either digital systems or systems linked to the Internet – ranging from websites , social networks to mobile applications and more. According to International Data Corporation (IDC) projects, the digital universe will double in size through 2020 and reach 40 ZB (zeta bytes), which means 5,247 GB for every person on Earth in 2020 [see Figure 1]. Why should we use Digital Analytics and how does it impact business? For lead generation sites, it is to collect user information for sales teams to connect with potential leads. For content publishers, it is to encourage engagement and frequent visits. For branding, it is to drive awareness, engagement and loyalty. Lack of data analysis at the right time can cost missed business opportunities. Data created digitally from websites, mobile sites, social media, mobile applications, advertising or any other Internet-enabled experience — like interactive TV , billboards and set-top boxes is huge and valuable. Thus analytics on them will help business planning and decision making. Big Data or Data Science Technologies are the answer to this kind of analysis. 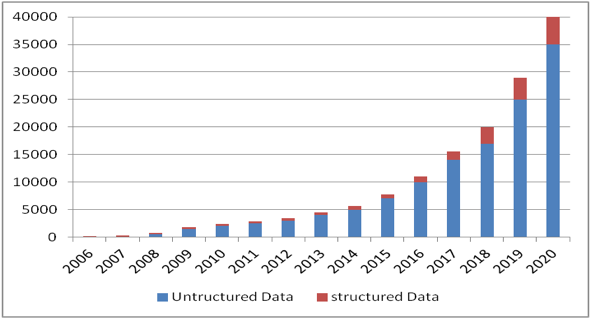 EMC estimates that the majority of new data is largely untagged, file-based and unstructured data which means little is known about it. 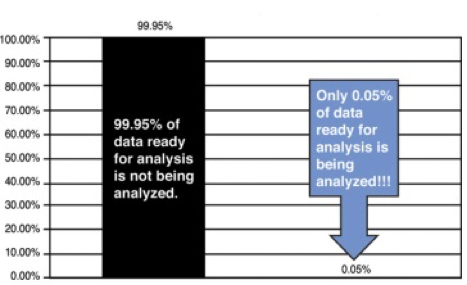 Only 3% of the data being created today are useful for analysis , whereas only 0.05% of that data is actually being analyzed. Thus, 99.95% of useful data available today for analysis is not being analyzed [see Figure 2], all of which are unstructured. 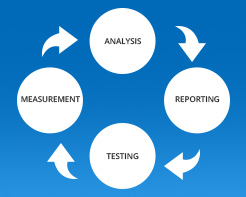 Analytics on unstructured digital data is a continual improvement process and it involves the following process of Measurement, Analysis , Reporting and Testing. The key is to repeat this whole process and to keep improving. The improved analytical data can be used to understand the right outcomes for your site. It also can be used for business planning, decision making, performance measurement, Key Performance Indicator (KPI) reporting, merchandising, prediction, automation, targeting and optimization. How can Rare Mile assist you? Rare Mile specializes in Unstructured Data Analytics, which combines text mining techniques & algorithms to extract meaningful insights from text sources. This text can come from Emails, Blogs, Word Documents, Excel Spreadsheets, Facebook feeds, Tweets and even Optical Character Recognition (OCR) of photos and scanned documents. Text can also come from content analysis of website data and user generated content like reviews. We have a proprietary data ingestion engine that can process terabytes of unstructured data at a phenomenal rate. For most of our clients, we have been able to crunch data up to 10 times faster than any of their existing data engines, giving them a tremendous advantage in extracting analytics in a short period of time. This engine has elastic scaling built into it, so it can handle large volumes of data quickly and on demand. We have a state of the art sentiment analysis library that is available for use on the very first day of implementation. This machine learning based library gives you instant access to sentiment analysis capabilities for your analytics features. We have invested in creating this robust sentiment analysis engine so that our clients do not have to. We have connectors for commonly connected mediums of unstructured data extraction. This means connecting to Email servers like Microsoft Exchange Server, Lotus Notes, Gmail, Yahoo! Email, Facebook, Twitter and Blogs is a breeze. Half the problem of how to connect to the different sources is already solved for you and we can start off on what analytics to extract out of them. Machine Learning is indispensable when it comes to unstructured data. We take a research based approach to developing new algorithms. We start by understanding the context around the problem that needs to be solved and develop algorithms that can meet business objectives. These algorithms are then iteratively implemented and their outcome is measured and validated. Based on the outcomes, we refine the algorithm until it starts delivering acceptable levels of returns. Besides implementing standard Mahout Algorithms, we also develop customized machine learning capabilities to deliver a tailored machine learning experience. In our experience, unless you have a standard, statistical problem to solve, a customized machine learning algorithm can deliver a lot more relevant value than canned algorithms. We recommend the right choice of algorithms to our clients after an initial consultation.